Want to challenge yourself, discover new thinking patterns, get positive attitude and perspective and learn about tools and methods for dealing with your challenges in a more constructive and effective manner? Then it’s time for you to consult a coach. This is the best investment you can make into your most important asset – namely “your self”. 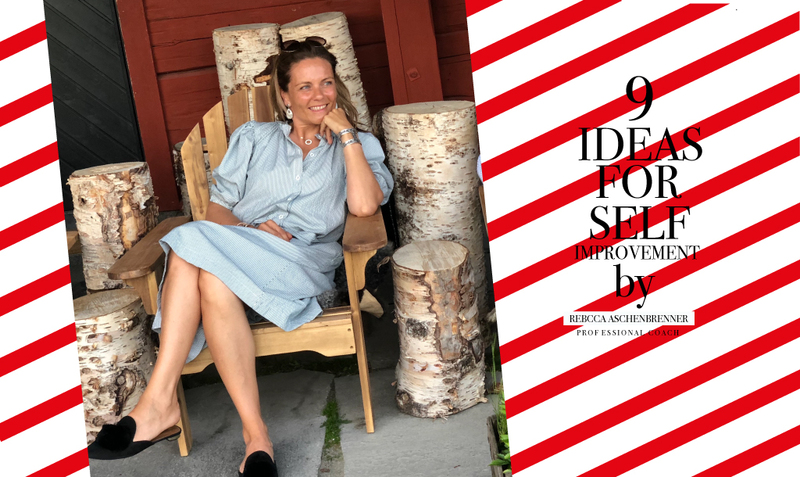 We met the professional coach Rebecca Aschenbrenner in Munich who used to work as a management consultant and as an executive in different industries before becoming a coach and a partner at Connect & Develop which reveals her true passion and talent, dealing with characters instead of numbers. What are common coaching myths? Although coaching and therapy has become socially accepted I still hear that coaching is for people with issues or problems. Most of my clients are high performers who want to be even better, they are motivated and hard-working, willing to be mirrored and to self-reflect, curious about themselves and their environment and interested in personal and professional growth and development. Whereas therapy focuses more on the past, family history, root causes and origins of a situation, coaching focuses on the present reality and the future. Coaching is hands-on with a future-looking perspective aiming to unleash your potential and improve performance. Is coaching only for professional issues? In my view the challenges that you experience in your professional life are closely related to both your personal situation and past experiences. Therefore, I never draw a line between professional and personal. Since I am therapeutically trained, I usually begin by taking a wider look at the persona, their past and their environment which helps me to better understand the challenges at hand. The awareness and understanding of where certain patterns come from and how habits were born helps my clients to deal with present challenges in a more effective way. Coaching is an investment in yourself. The access to a professional and neutral sounding board who reveals inner dynamics, triggers new ideas and provides tools and techniques for handling challenges by listening, asking questions, uncovering your blind spots and pushing you out of your comfort zone is worth more than most of my clients can imagine when they go into coaching. Coaching is a learning process in the sense that it provides new thinking patterns, a positive attitude and perspective as well as tools and methods for dealing with challenges in a more constructive and effective manner. A good coach will empower their clients to find their own solutions, create awareness, enhance performance, motivate, give hands-on advice for dealing with situations and trigger positive change, personal growth and development. In which type of situations would you recommend me to go see a coach? Can you name some typical issues that your clients bring to the table? What does a typical coaching process with you look like? In a first appointment we discuss the client’s situation, needs and goals for the coaching. Then they go home and think about whether they would like to continue or not. If they decide to continue I provide a general, high-level plan of how much time we will need to reach the defined goals. My clients then set the agenda in the sense that I work with what comes from them. Sessions can last anywhere between one and three hours and take place either at our Connect & Develop offices (Maximilianstraße in Munich) or on-site. In between each session my clients get homework – to practice what they’ve learnt, prepare for the next session or to enhance their self-perception. How do I find the right coach for me and what should I think about when selecting a coach? Being a Swedish citizen, the daughter of a Swedish-American father and a German mother and having lived abroad in many different countries and worked for a number of global firms Rebecca is well acquainted with different cultures and feels at home working and interacting with people from various types of backgrounds. She understands the challenges of working in large, international organizations with multi-cultural teams and has an open-minded, interested and curious approach to her clients.